Some of our favorite fly-fishing wading shoes from companies like Orvis, Simms, Patagonia and more. Some we have been selling for years and some new options also. 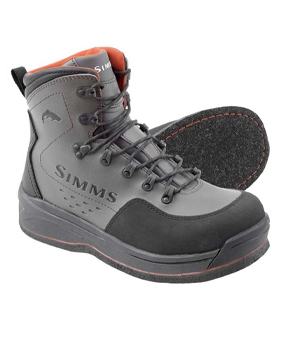 All wading boots featured here are designed to perform in any angling environment. Order one size up from your street shoe size. However, this is not the case with Orvis boots, simply order your shoe size.